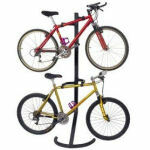 If you're looking for the ultimate in bike storage solutions, look no further than the ceiling mounted bike pulley. 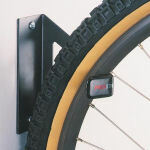 Easy to install, and easy to get bikes out of the way. Its unique design allows you to take advantage of vertical space above your garage.